Is Your School Ready for Google's Chromebooks for Education? At Google IO this week, Google announced a "new kind of computer" and a new program aimed at schools: Chromebooks for Education. These new devices look like laptops, but they run on Google's new operating system Chrome OS and are truly Web-based and Web-centric. There is no local storage and there is no software. In other words, everything runs through the (Chrome) browser and everything is stored online. Google's new Chromebooks for Education program will offer these devices to schools for $20 per user per month. This service will include enterprise-level support, device warranties and replacements, and hardware refreshes upon contract renewal (every three years). Included as well is a cloud management console that will allow IT administrators to remotely manage users, devices, applications, and policies. Although the price tag for these devices may not seem like a huge cost-savings -- equipping every student with a laptop for the school year is always an expensive proposition -- the ability to bypass software licensing, the promise of a virus-free device, and the power to control all these devices and their various permissions remotely all make this a very attractive deal for schools that are interested in one-to-one computing. And as the hardware will work well with Google's Apps for Education productivity suite, the program means Google can offer schools both hardware- and software-as-a-service, eliminating a lot of the need for schools to build out their own IT infrastructure. But regardless of whether Chromebooks are a good deal for schools and whether or not schools can afford such an offer, there are other concerns that schools will have to face.They're not just financial issues, but technological and cultural ones as well. 1. What's Your Acceptable Use Policy? The Chromebooks will have the option for 3G and for wireless connectivity. The 3G will, of course, require more expenditure. But either way, handing students a device that is, in Google's words, "nothing but the Web," will force schools to consider what their Internet Acceptable Use Policy looks like. The Chromebooks are designed to give students 24-7 access to Web technology -- both at school and at home. The administrative panel for the Chromebooks will give schools the ability to lock down access to some applications -- so that kindergartners, for example, don't have e-mail access while middle and high schoolers do. And Web filtering at school does restrict access to certain sites. But 3G can bypass that, as can Internet at home. How do schools address acceptable use of Internet resources when a device that's assigned a student goes off-campus? 2. What's Your Internet Infrastructure Look Like? Is your school ready for every student to have her or his own device connected to the Internet? Can your bandwidth -- wired or wireless -- handle it? As nothing is stored locally on the Chromebooks, students will have to have reliable access to their files that are stored in the cloud. Google does say that it plans to add offline support for Gmail, Docs, and Calendar this year. But a Web-centered machine will require the Web for everything, and spotty and sporadic Internet access at school will be a problem. In the recent SpeakUp 2010 survey, 67% of parents said that they'd be willing to pay for mobile devices and for associated data plans for their children if they knew these devices could be utilized at school. While certainly the $20 per student per month fee will add up quickly and may well be beyond most schools' budgets, schools may want to consider alternatives to funding these projects. Will parents be willing to pay all or part of the fee? Will schools be able to use the Chromebooks and online resources to replace textbooks, as well as other tools like calculators, paper, projectors, etc.? And will this in turn free up other funds that could pay for Chromebooks? 4. Are Your Teachers Ready? Successful one-to-one computing initiatives aren't as simple as just passing out devices to each student. One-to-one computing requires rethinking how instruction happens, how resources are accessed and allocated. Are your school's teachers ready for not just one-to-one computing -- a huge shift in itself -- but for one-to-one computing that's solely focused on Web resources? Are you using Web-based applications, for example? How much does your school rely on software installed on machines, and can you make the transition to other online tools instead? 5. Do You Trust Google? Schools that join the Chromebooks for Education program will likely be (or become) Apps for Education customers. This means that schools are handing over much of their IT -- hardware and software and email and storage -- to one company. Of course, many schools already have this sort of relationship with another technology brand, Apple. 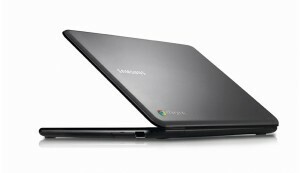 Educators and parents, what are your thoughts on Chromebooks for Education?